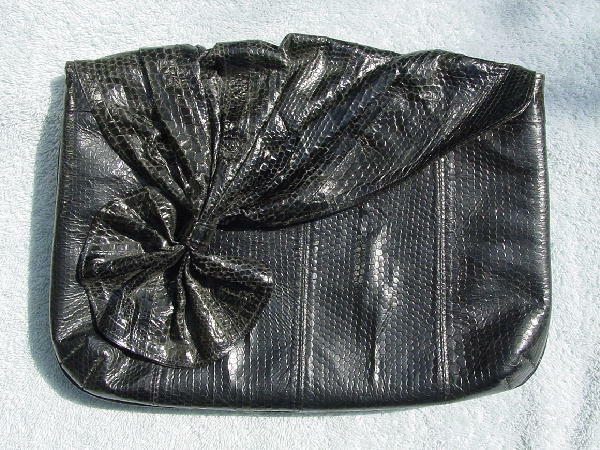 This large clutch has a black faux snakeskin body, and the pleated and gathered flap has an embossed snakeskin pattern. 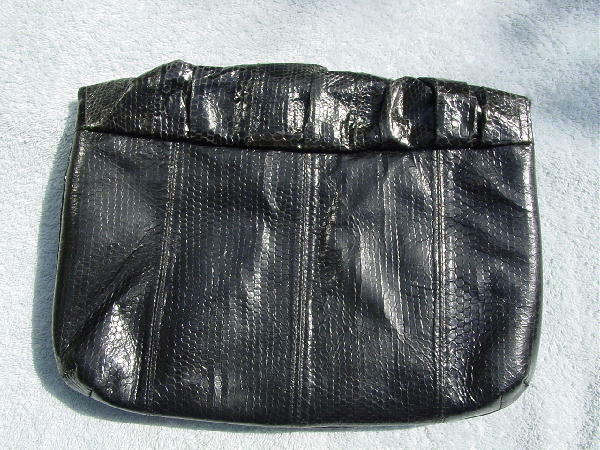 The purse is made of manmade materials. There is a magnetic closure under the "fan" of the front flap. It does not have a chain or strap, but you can add one because it does have two small loops (one on each side seam). It has a two snap top closure, and the interior lining is a black vinyl. There is an interior zipper compartment.